Culture is alive around these parts -- it’s just not always so easily found. Granted, Miami leads South Florida’s art scene, with world-renowned Art Basel and the burgeoning Wynwood Arts District, home to the bustling second Saturday art walks and street-art installations with international appeal. But there exist art hubs worth scoping out beyond Miami. Over recent years, three main art districts have sprung up from Fort Lauderdale to West Palm Beach. Each spot shares a common vision to support the arts and foster a creative community with a bohemian spirit. Here’s where to find cultural communities outside the 305. 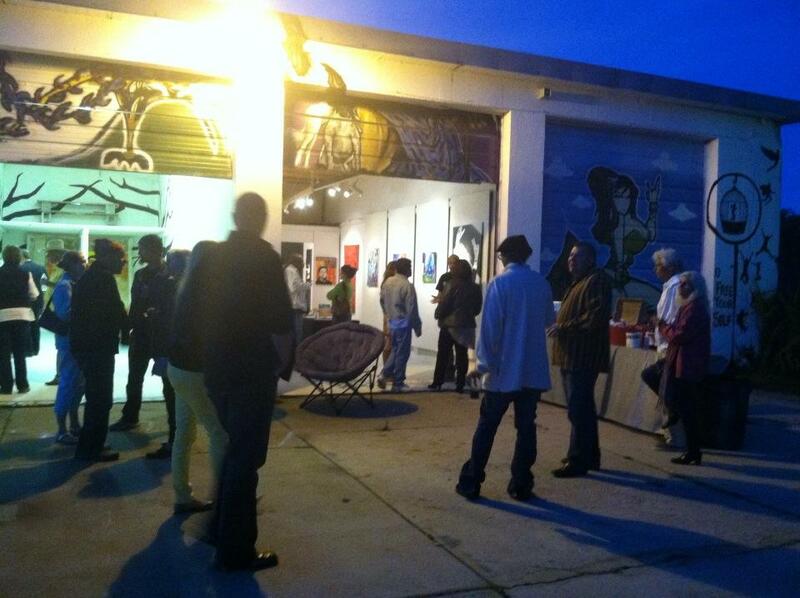 Galleries now occupy former warehouses north of downtown Fort Lauderdale. Located on the northeast edge of downtown Fort Lauderdale, FAT Village lies in an enclave of warehouses. It's home to nine art studios, three galleries, two theaters and other art-related businesses. The name is short for Flagler Arts Technology Village, and the neighborhood is rather “an art-centric district with a large technology arts component,” describes FAT Village founder Doug McCraw. A notable digital project was the recent “Mind Draw,” in which participants wear a headset and draw computer-assisted designs through simply expressing thoughts without the use of touch. Social media agencies have also set up shop here. FAT Village didn’t exist until a decade ago, until McCraw purchased the four blocks of warehouses comprised of some of the last industrial buildings preserved in Fort Lauderdale. He sought to build a creative community, and he sure did. Today, the urban hub is emblazoned with murals and graffiti where guest curators host monthly pop-up events, neighbors collaborate to green the space with plans to grow urban gardens and the monthly art walks draw throngs of art collectors and enthusiasts. This stroll occurs from 6 to 10 p.m. on the last Saturday of every month. But it is the annual Day of the Dead event in November that’s the big draw, when crowds upwards of 2,000 flock to the district's gritty streets for live music, elaborate puppet processions, theatrical shows, and bizarre circus-themed performance art. 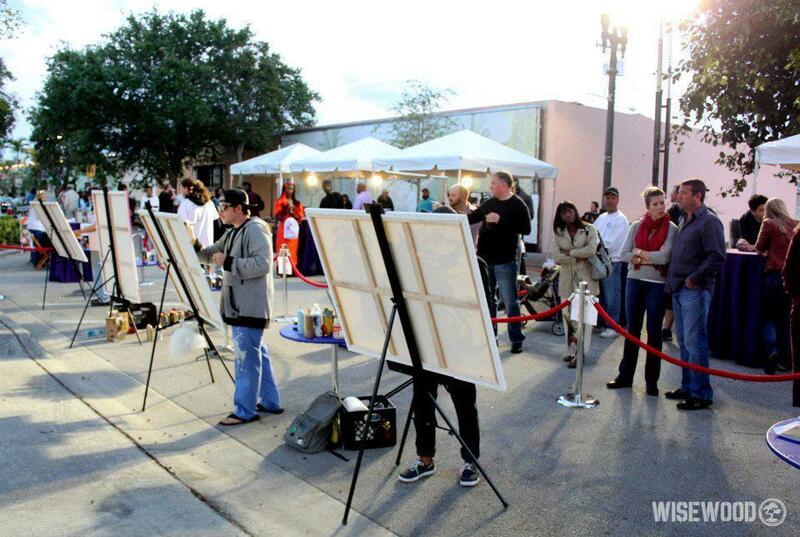 Working artists helped create the art district in Boynton. The Boynton Beach Art District occupies a dusty industrial park that has attracted a community of fulltime working artists. It began in early 2012 with public events, like the art walk held on the fourth Thursday of the month, and third Thursdays open mic nights. It was the February 2012 multimedia showcase “Kerowhacked Festival” that got the conversation going. “So nobody knew there was an arts district here until they heard about the events,” says Rolando Chang Barrero, event organizer and owner of ActivistArtistA Gallery. While this artist-driven site has outdoor murals and street art, Rolando wouldn’t compare this two-block warehouse hub to Wynwood. “Our space is more akin to the Lincoln Road of the late ‘80s, early ‘90s, whereas there were no commercial venues or stores. Then it [Lincoln Road] was a place run by independent artists and nonprofits,” he explains. At this only city-sanctioned arts district in Palm Beach County, onlookers can find stone sculptures, metal works, public art pieces, paintings, installation works, and hear live music during public events. Next to come are plans to cultivate edible gardens, and repaint the outdoor murals with work. Northwood Village boasts galleries and regular art walks. Just a few miles north of hopping Clematis Street, teaching artist and gallerist Trina Burks and her husband Anthony began hosting art shows in 2006 out of their Northwood home. In 2010, the couple turned to the city’s Community Redevelopment Agency and asked for support in building a serious art district. The vision had already materialized when the CRA collaborated with the area’s art-centric businesses to launch “Art and Wine Promenade” in 2007. To build on its popularity, an art walk started up in July 2012, coinciding with the monthly event held on the last Friday of every month. Here, artists set up tents in the street, and depending on what is happening certain streets will close down to traffic. Northwood Village, comprised of two neighborhoods the “old” as the locals call it is the historical area east of the main road, Broadway. To the west is a revitalized “new” area situated along train tracks. This hub is home to Lot 23, a live-and-work space, mom and pop eateries, indie coffee shop Harold’s, and seven galleries extending along Northwood Road to 25th Street. It is the Center for Creative Education that serves as the anchor to this up and coming locale and Harold’s is known as the neighborhood’s hangout spot. Burks describes the art district as “quaint” and void of any “commercial stores.” What makes Northwood stand out from its sister art hubs is that, “We’re not the old timers, we are not the young kids, we’re in the middle,” says Burks. Middle-aged emerging and professional artists in their golden years have posted up in Northwood offering a quality selection of pieces for art buyers. This is for all the times that you wanted to step on a piece of art. During Art Basel week, Miami’s Wynwood neighborhood becomes a virtual factory of street art. And by street, we mean "on the ground." This ground work is usually passed by without a second glance in this part of town. Most of the work is done with stencils and the same images and phrases can be found lining the area's streets, even in other parts of the city.